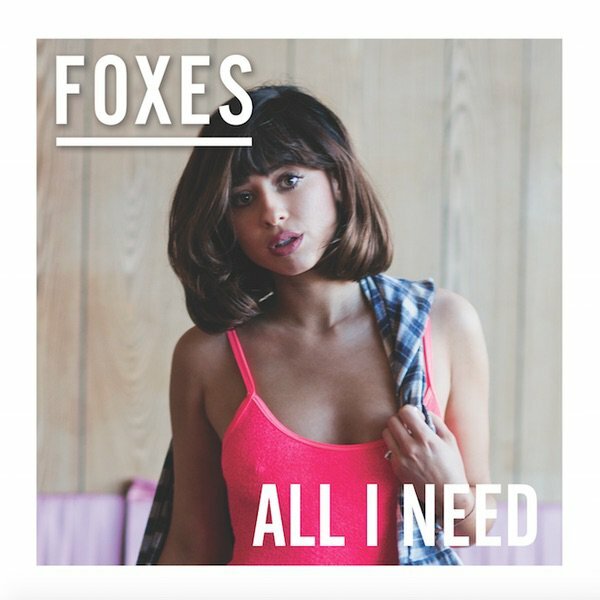 The thing about Foxes is that she's just quite average and her music doesn't really budge any further over mediocre on the scale either. This is a shame because I like Foxes but I just don't really feel as though there's much to gain from her music, you know? Anyway, I thought I'd give her second album All I Need a go because why not, and I had some pretty mixed feelings about it. In light of this, the only reasonable course of action was to use the balladometer in order to rate how good this record really is. Apart from the soundbite of a child talking about "flying far far away" (I guess it's supposed to be her right? ), the intro AKA 'Rise Up' is quite nice for something with no vocals, although due to this it obviously can't feature on the scale below. Proper actual opener 'Better Love' was not only co-written by, but also vocally features Dan Smith of Bastille fame. It's a nice surprise, especially as it's the only real feature on the album. The track isn't bad but it's not great, a strong 7. I don't know whether it's just because I'm used to hearing 'Body Talk' as a single that I feel like I like it more? 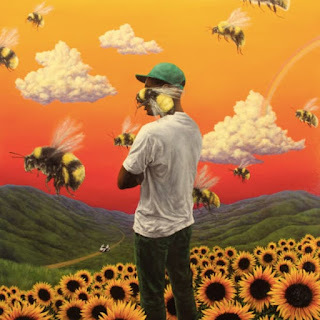 It's really hard to tell, because I know that I felt very "meh" towards it when I first heard it but listening through to the album I'd probably give it an 8 now. The following track, 'Cruel' is where this album peaks and it's early but it's definitely worth it, by far the standout song of All I Need's sixteen-track roster. It's a 9. Why hasn't this been a single yet? 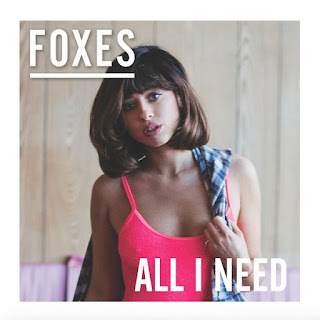 Delving further into this track, Foxes co-wrote 'Cruel' with Kid Harpoon who is partly responsible for Years & Years bangers 'Desire' and 'Take Shelter' as well as Jessie Ware's 'Wildest Moments' so it's no surprise this is excellent really. I'm sorry to say that it's largely downhill from hereon in, folks. 'If You Leave Me Now' is a full on 4/10 ballad and although it's not terrible it does get fairly boring after it starts to drag on. Recent single 'Amazing' is far from its title's description and probably should have been called "Average". With that, it receives a 5. Look, I know it's a ballad but 'Devil Side' is actually quite good which causes me problems because this is the balladometer after all, but the chorus is excellent. I'm ready for the backlash and I'm happy to give this a 6. 'Feet Don't Fail Me Now' is equally as "better than okay" so it can have a sweet 6 too. Unfortunately, things go back to really not good when we get to 'Wicked Love', a song whose chorus I despise so much I can't bear to give the song anything more than a 2 overall. I'm not sorry. The worst bit is that it's not even a ballad. Initially I gave 'Scar' a 3 but I don't think it's actually that bad but it's definitely still a ballad... although I'm not sure whether this is just me recovering from 'Wicked Love'. We'll give it a 4 for now. We're upbeat again with 'Money' but it's just unfortunately really average and fairly uninspiring, so I'm not sure it deserves anything over a 5. Completing the "standard edition" of All I Need is the alright but dull 'On My Way', another 4 I'm afraid. Lucky for us, "standard editions" don't exist and deluxe is the only option. And I don't joke when I say "lucky for us" because the first of the four bonus tracks is thankfully a banger. Don't be alarmed by 'Shoot Me Down's slow start because the build-up to the chorus is literally what I've been begging for for the last half an hour. Hit me with an 8/10. Miss Allen then slaps us around the face with another right good'un; 'Lose My Cool' is a solid 7. Unfortunately, title track 'All I Need' which didn't even make it on to the "main bit" of the album is quite disappointing although I guess that's what explains its positioning on the tracklisting; a 5, I'm afraid. Despite the nice teaser of 'Rise Up' we had right at the beginning of the album, the '(Reprise)' also falls a little flat. I think this whole thing would have been good as an intro to be honest, so I'm not really sure what went on here but it's probably a 6. So where does all this leave us? Well, in conclusion the balladometer isn't really a balladometer in the slightest considering how good 'Devil Side' was and how awful 'Wicked Love' was. Instead, it's more just a Foxesometer. I don't mind but I do feel like the concept has been watered down a fair amount, alas, what can we do? And in case you were wondering maths fans, All I Need receives an overall score of 5.7/10.